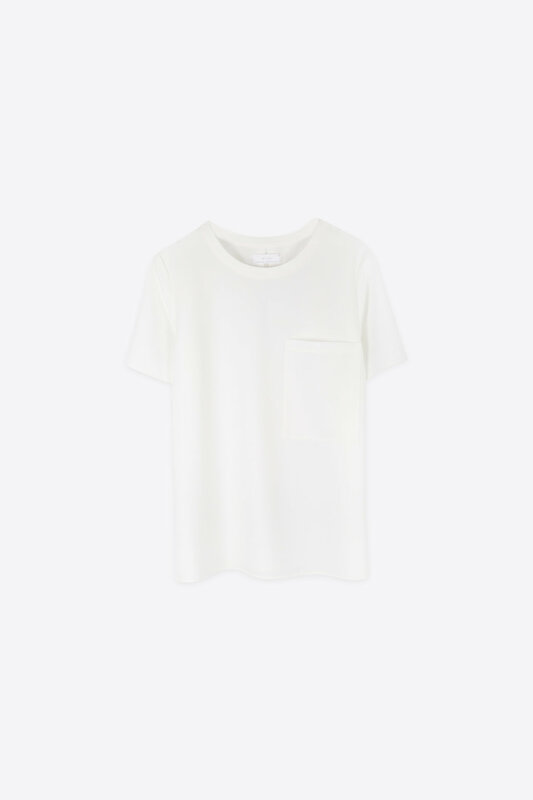 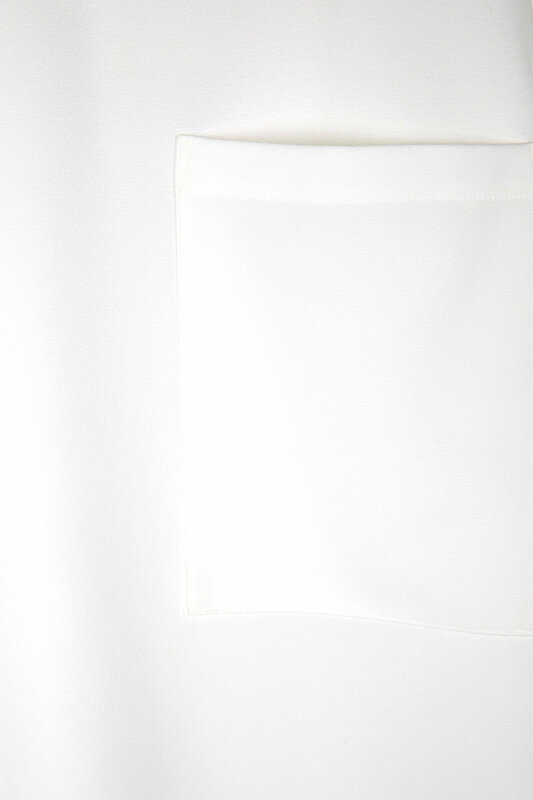 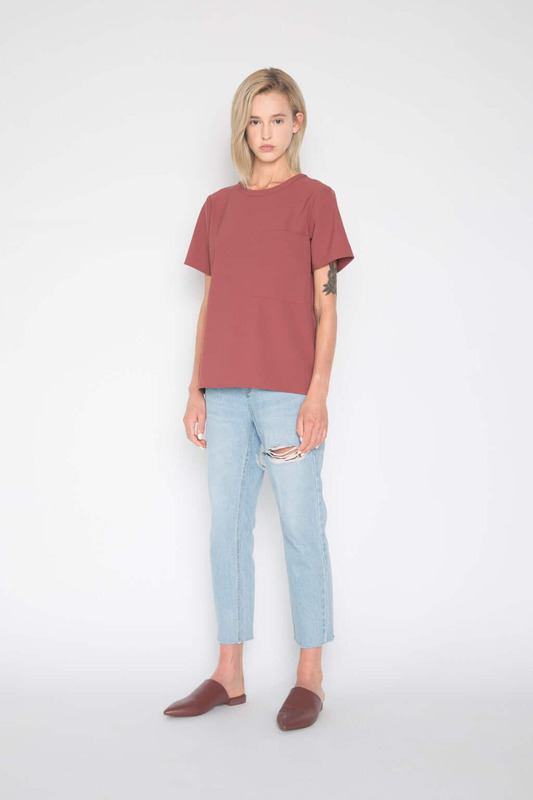 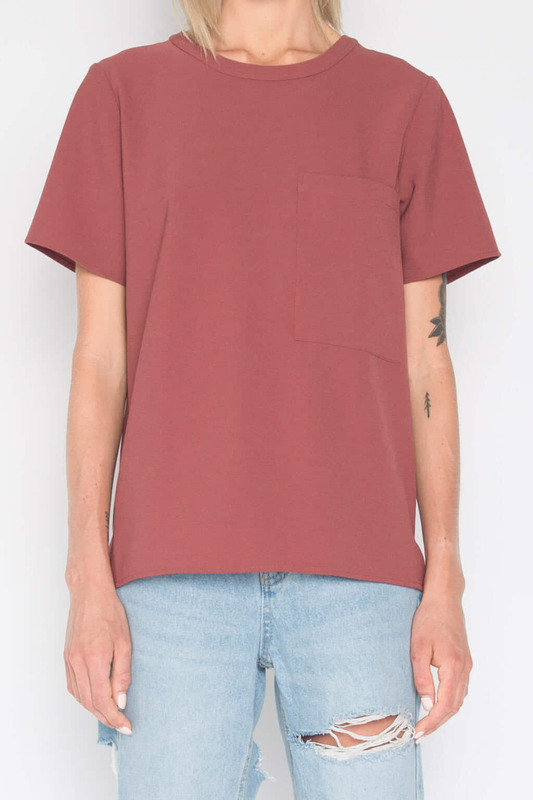 This delicate crew neck blouse features a large square pocket on the front for a minimal and elegant look. 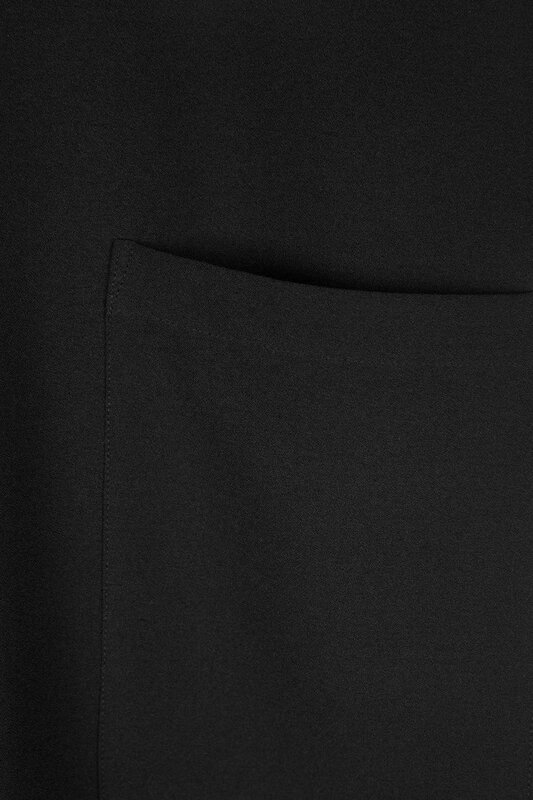 The small side split detailing on the bottom and pleat on the back adds a modern and refined touch to this relaxed piece. 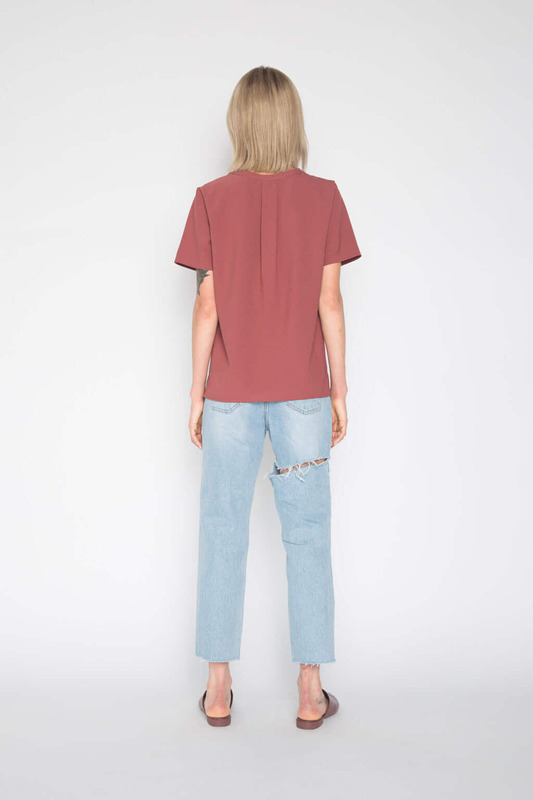 Wear this tucked in a distressed denim mini skirt for an edgy yet effortless look.